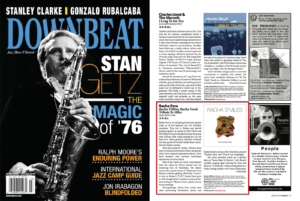 Racha Fora is an intriguing fusion jazz quartet made up of two Japanese and two Brazilian musicians. They met in Boston and started playing together as a band in 2010. Flutist and EWI player Hiroaki Honshuku leads the group with violinist Rika Ikeda joining him on the front line. Nylon guitarist Mauricio Andrade and bass guitarist/vocalist Rafael Russi constitute the rhythm section. Multi-percussionist Benhur Oliveira joins them in the studio for Racha S’Miles, the group’s Miles Davis-inspired sophomore album. Davis band alumnus Dave Liebman contributes soprano sax on three pieces. Half of the tracks are Davis compositions with two others by Wayne Shorter and the remaining four by Honshuku. The album opens with a joyful version of “Milestones” that features Liebman gliding effortlessly. A heavier take on Shorter’s “E.S.P.” doesn’t land quite as well, though Russi’s wordless vocals and delicate soloing on “Blue In Green” quickly elevate the proceedings. 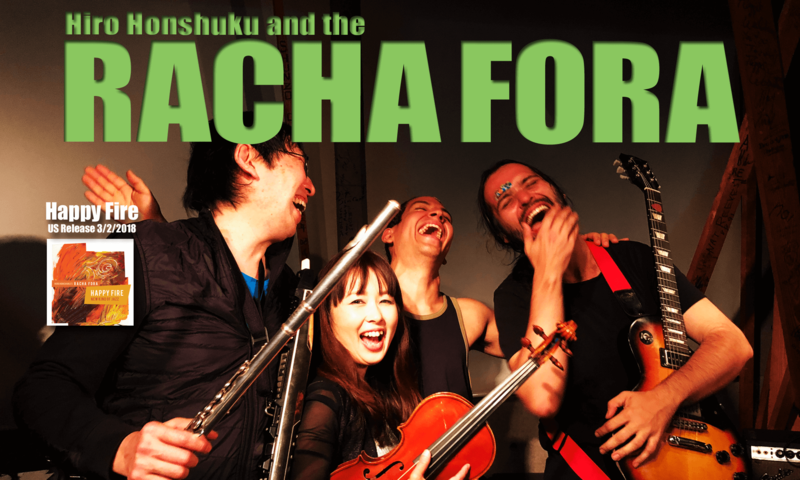 Unsurprisingly, Racha Fora excels most when performing Honshuku’s pieces, and Ikeda’s emotive solos on the Honshuku-penned “Chicken Don” and “Door 8” are a highlight. Two other standout tracks are a spirited take on “Seven Steps To Heaven,” with Russi’s wordless singing again sharing the lead, and Shorter’s “Footprints,” which is interpreted as a funky closing number with hints of hedonism. Personnel: Hiroaki Honshuku, flute, alto flute, piccolo, EWI (2, 10, 11), voice (7); Rika Ikeda, violin; Mauricio Andrade, nylon guitar; Rafael Russi, bass, voice (1, 3, 4, 10); Benhur Oliveira, pandeiro, cajon, tamborim, ocean drum, voice (10); Dave Liebman, soprano saxophone (1, 7, 11).